Adam Beyer cites Drumcodes 1 (Planet Rhythm 1995) as the first record to define his style; hard, percussive and loop oriented. This 12" names Beyer's future label and was soon followed by his critically acclaimed debut album Decoded (Planet Rhythm 1996). His need to create the perfect dj tool gave rise to the launch of the Drumcode label allowing him total musical freedom. The label's strong concept and high production levels meant it enjoyed immediate success. After six releases Beyer launched his second label Code Red focusing on a slightly softer side of techno. Code Red finished with its 10 th and final release Stand Down (Code Red 1999) which was a compilation of remixes from various international artists. His production skills soon brought Beyer to the attention of djs worldwide and global bookings soon followed. His meteoric rise has been cited as one of the catalysts for Swedish techno's current influence. He pinpoints the Stockholm sound as being closely linked to his network of friends in the city as well as the triumvirate of himself, Joel Mull and Cari Lekebusch. 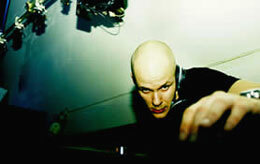 After many releases and remixes on various labels he launched the second album Protechtion (Drumcode 1999). While the market was being flooded with monotone, loop-oriented techno, Beyer worked on strengthening the arrangements that characterised his earlier works, as well as adding melodic strings. Still with a clear focus on the dance floor. In 2002 Beyer plans on creating a new label, Truesoul, which would allow more space for a wider range of influences. Truesoul started as a closed internet discussion with friends in Stockholm. The group was founded by Henrik Fagerberg who is now art director and designer for the label. Truesoul is influenced by twenty years of listening to electronic music and will focus on conceptual projects and full length albums. Adam Beyer's focused djing and uncompromising production style has brought him to the global arena of techno, continually playing clubs and releasing records all over the world. Despite his young age, Adam Beyer has become one of techno's leading figures.